This page provides a repository of interesting and useful links of relevance to the society and biometrics. Please forward any additions to the Website manager. The International Biometric Society is found at www.BiometricSociety.org and has details of the activities of other regions across the world. 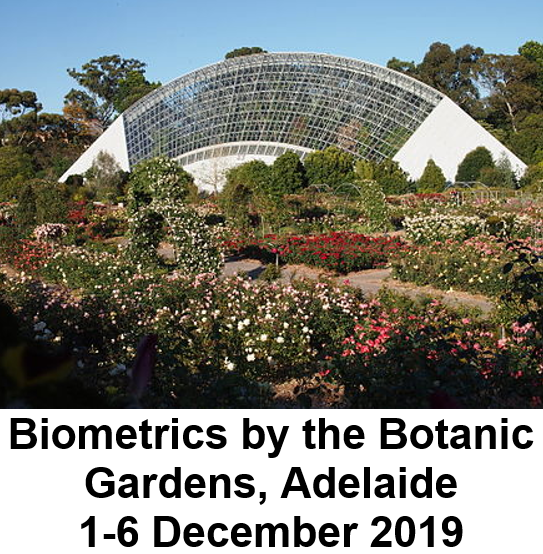 The terms "Biometrics" and "Biometry" have been used since early in the 20th century to refer to the field of development of statistical and mathematical methods applicable to data analysis problems in the biological sciences. Statistical methods for the analysis of data from agricultural field experiments to compare the yields of different varieties of wheat, for the analysis of data from human clinical trials evaluating the relative effectiveness of competing therapies for disease, or for the analysis of data from environmental studies on the effects of air or water pollution on the appearance of human disease in a region or country are all examples of problems that would fall under the umbrella of "Biometrics" as the term has been historically used. The journal "Biometrics" is a scholarly publication sponsored by a non-profit professional society (the International Biometric Society) devoted to the dissemination of accounts of the development of such methods and their application in real scientific contexts. Recently, the term "Biometrics" has also been used to refer to the emerging field of technology devoted to identification of individuals using biological traits, such as those based on retinal or iris scanning, fingerprints, or face recognition. Neither the journal "Biometrics" nor the International Biometric Society is engaged in research, marketing, or reporting related to this technology. Likewise, the editors and staff of the journal are not knowledgeable in this area.